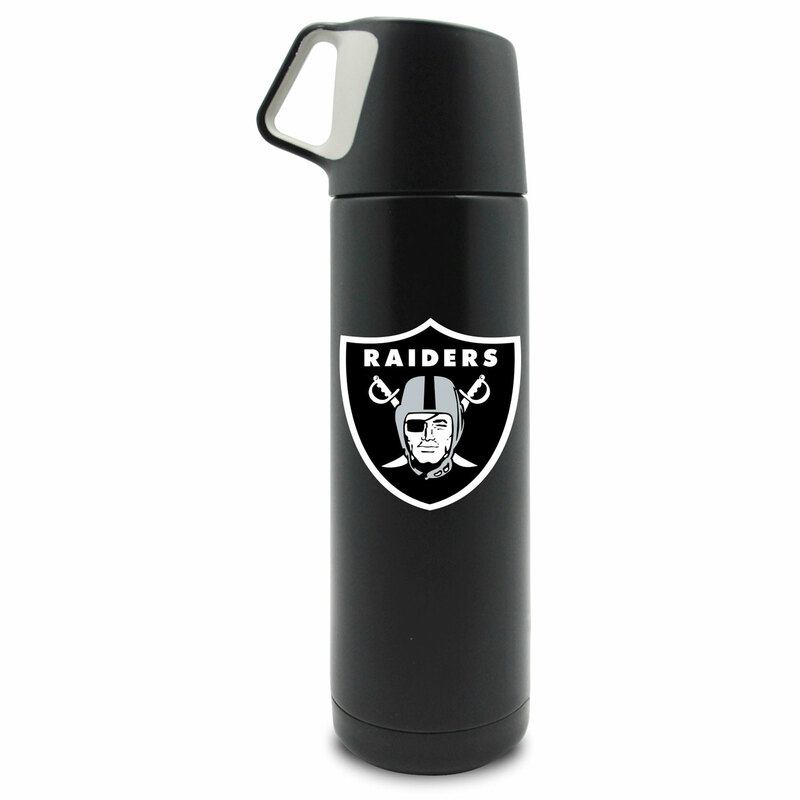 Take your coffee and team pride on the go with the Raiders 17oz Stainless Steel Coffee Thermos by Duckhouse! This coffee thermos features a double-wall, stainless steel structure and insulated body to keep your drinks hot or cold for up to 8 hours! The lid doubles as a cup for drinking. BPA free and non toxic. Our apologies, due to Mexico's trading policies this item cannot be shipped to Mexico.